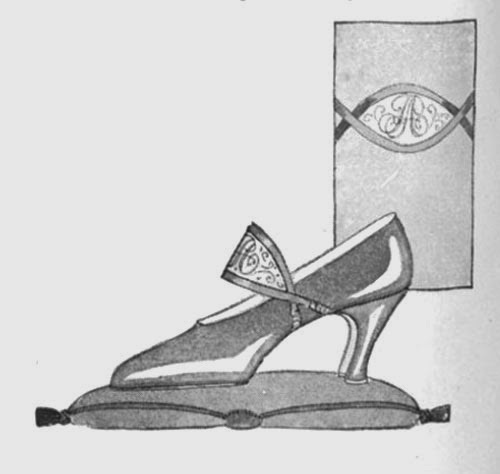 Perugia started the trend of decorating shoes with monograms in the early 20s. 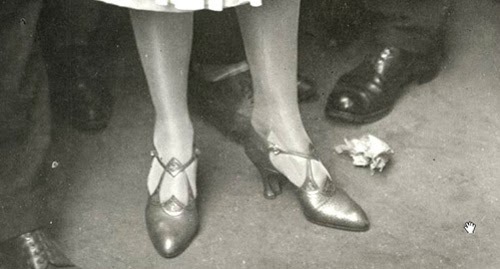 The monograms later became exotic marks. 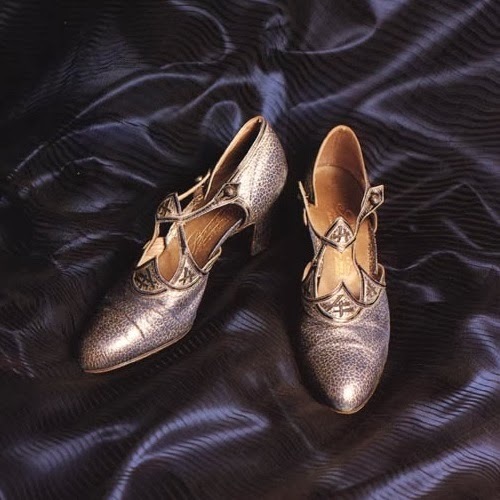 "On the side of the boot, in a small circle, are written [by Perugia] gold, silver or enameled monograms or, if you prefer, a sentence, a currency. I forgot to say that it is in Egyptian characters." Art, Gout Et Beaute, Christmas 1925. 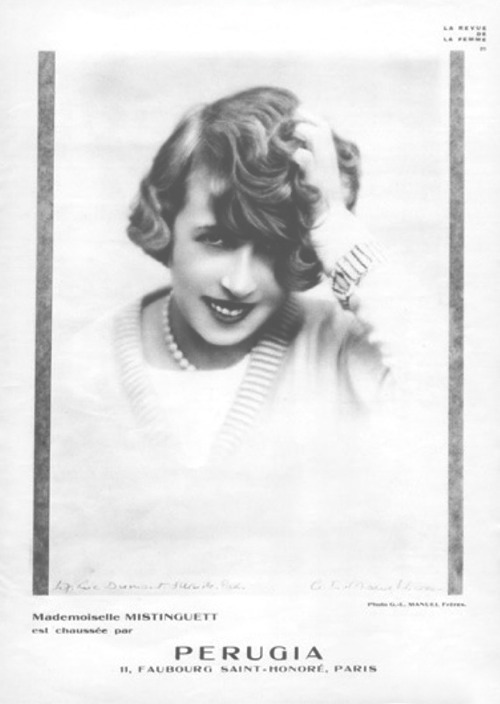 Parisian actress - and Perugia aficionado - Mistinguett liked the model very much (1926). 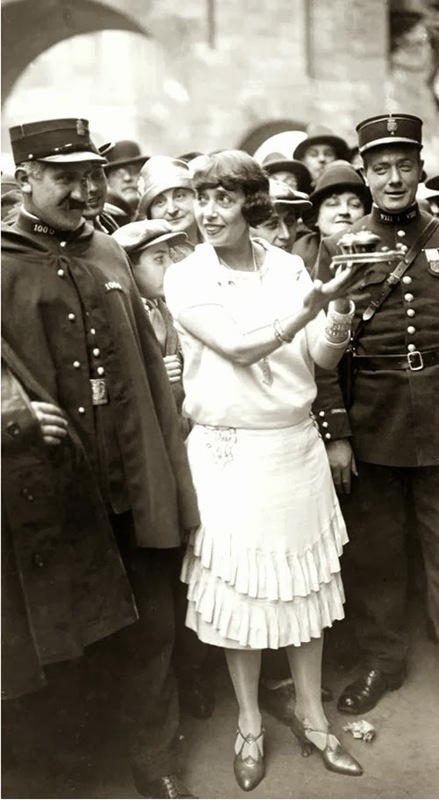 actress Mistinguett amidst a crowd. French Actress, Counting Over Her Huge Collection of Boots, Shoes and Slippers in Her Paris Apartment, With Her Mascot, a Little South American monkey, as Referee.